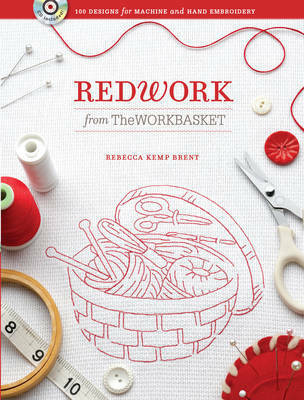 Redwork embroidery, long admired for its simple, homey designs, is more popular than ever. And what better source for great redwork designs than The Workbasket (R), a classic magazine with a 60-year tradition of providing readers with great, do-able crafting projects. Now Redwork from The Workbasket makes it easy to recreate the warm, nostalgic feel of vintage redwork designs on your linens, aprons, even quilts, whether you embroider by hand or machine. Rebecca Kemp Brent is a freelance writer, educator and designer who specialises in creative uses of computerised sewing and embroidery machines and software. Her titles for Krause Publications include Fill in the Blanks with Machine Embroidery and Machine Embroidery Wild and Wacky, which she co-authored with Linda Turner Griepentrog.